What does Red Bull do to your body? The tv ad says that Red Bull gives you wings but according to researchers that’s not all it gives you. 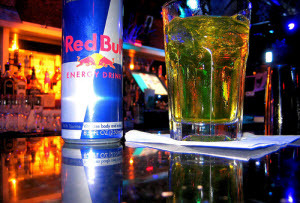 In this article, we are exploring what Red Bull does to your body right after you drink it. Before we start, I should ask you what is your favorite energy drink? Red Bull is an energy drink for people who want to expand the mental and physical endurance. However, the research says that it is not the best choice for you if you want to increase and strengthen your physical stamina and your mental concentration. In general, energy drinks involve health risks as excessive amounts of caffeine can cause High Blood Pressure, serious Cardiac Issues as well as disrupting your sleep and create anxiety and digestive problems. Pay attention to this: One can of Red Bull with 250 milliliters contains 80 milligrams of caffeine that is double the amount of the average cup of coffee. Upon ingestion, it takes 10 minutes for the caffeine to enter your bloodstream. 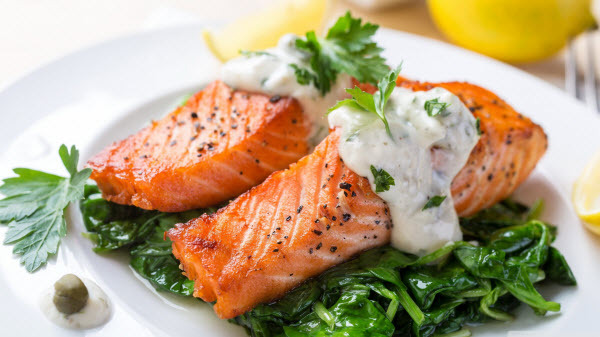 At that point, your heart rate and your blood pressure will begin to rise. By 45 minutes, you will start to feel more alert and have a greater ability to concentrate which is why people who are studying favorite it so much. By 50 minutes, your body will absorb all the caffeine and this is where your liver kicks into gear trying to balance out the levels of just caffeine and sugar in your body. After only one hour, the dreaded sugar crash will occur. The caffeine will begin to dwindle as well as the sugar leaving you feeling tired and burnt out. By 5 to 6 hours, the caffeine will reach it half-life and it will be removed from your bloodstream by 50%. By 12 hours, if you are the benchmark of the average health, the caffeine should be entirely removed from your system. In the span of 12 to 24 hours, because most of us consume caffeine on a pretty regular basis and not just energy but also coffee, this is when you will start experiencing withdrawal symptoms because we should not forget that caffeine is of course a drug. These symptoms include irritability, headache and constipation. All these symptoms within 24 hours. However, after regular use which most of us, within 7 to 12 days, your body will be acclimated to that amount. 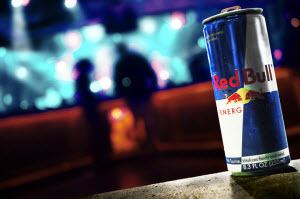 As a result, if you only drink one can of Red Bull, you will not get the same feeling of energy and high alert. Instead, you will have to drink more and more just like any other drug. It will never be as good as the first can of Red Bull your drink. Find out here now which are the most dangerous sugar and caffeine-filled energy drinks to stay away from and also discover a list of healthy, natural, organic and zero-sugar energy beverages that will boost your energy throughout the day. So, this is why Red Bull can become really dangerous if you do not all these facts before you consume it. Red Bull does have a significantly greater amount of caffeine than most energy drinks and it hits your bloodstream very quickly. But, it also depletes just as quickly the temptation to drink more and more. Your body can only filter a certain amount of caffeine and sugar. Long-term abuse can lead to heart and liver problems. Actually, energy drinks have so much caffeine that they are Worse for Your Heart Than Caffeine Alone. Such huge proportions of caffeine found in energy drinks can increase your blood pressure and cause serious heart rythm. More precisely, a can of energy drink can contain 320 mg of caffeine which is equivalent to four cups of coffee. To the amounts of caffeine, you have to add the amounts of sugar that exists in the energy drink which is similar to sodas and fruits drinks. Such an effect can become more of a problem when paired with a depressant like alcohol. The feeling of a depressant with a stimulant can leave you with this kind of alert yet numb feeling. As a result, people will consume far more alcohol than they would normally do and this will lead to heart attacks and even death. Visit this page for the leading muscle & strength coupon code.